The threat landscape in today’s cyber world is changing rapidly. Data breaches are larger than ever before, with attackers finding sophisticated new ways of infiltrating our networks with each passing day. Even attacks that were once considered simple , like DDoS attacks, have evolved into complex giants with magnitudes ranging in the terabits. To counter attacks of such scale, you need to have specialized and dedicated security solutions, designed for surgical detection and mitigation, so that your networks remain functional. At A10 Networks we recognize these, very real threats, and are dedicated to providing you with a range of security solutions that are focused on solving specific problems, at scale; whether you require visibility into your enterprise traffic to counter hidden threats, or you need to defend against an onslaught of multi-vector, IoT based DDoS attacks, A10 has got you covered. It is for this dedication to innovation and excellence that A10 Networks has been honored with two Gold awards, one for Thunder Threat Protection System (TPS) and one for Thunder Convergent Firewall (CFW), in the 10th Annual 2018 Golden Bridge Awards. A10 has also been listed as a finalist for the 6th Annual Global Telecoms Awards (GLOTEL) for the Thunder TPS product line. Thunder TPS won the Gold award in the “Security Hardware (New or Upgrade version) Innovations” category for its industry leading DDoS mitigation performance, precision, automation and unmatched scalability. Thunder TPS provides the best DDoS defense solution, with automation for ease of operation, and the highest performance, defeating even terabit-sized multi-vector DDoS attacks at the network edge with high precision. Thunder CFW also won the Gold award in the “Security Solution for Enterprise (Medium) Innovations” category, for its unparalleled SSL/TLS visibility performance and enterprise perimeter security feature set. The Thunder CFW product line provides a host of different solutions combined into a single platform. These solutions span across the Service Provider and Enterprise spaces and include solutions for 5G-GiLAN security, datacenter security, site-to-site IPsec VPN and enterprise security. For this particular award, Thunder CFW, with SSL Insight, was recognized for providing visibility and security to enterprise networks without compromising on performance. 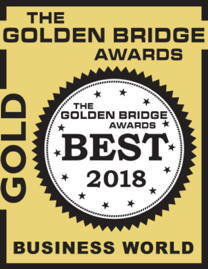 The Golden Bridge Business and Innovation Awards® is an annual industry and peer recognition program honoring the best companies in every major industry from large to small and new start-ups, best new products and services, best innovations, management and teams, women in business and the professions, case studies, customer satisfaction, and PR and marketing campaigns from all over the world. A10 Networks was also listed as a finalist by the Global Telecoms Awards (GLOTEL) for its Thunder TPS product line. The product has been recognized as a finalist for the “Security Solution of the Year” category in the 6th year of the awards. 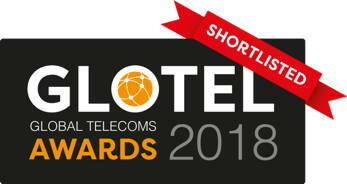 The Global Telecoms Awards (GLOTEL) recognize innovation from any company involved in advancing and transforming today's telecoms industry, not just in the EMEA region, but the across the globe. This includes service providers, vendors, solutions providers, consultancies and anything in between. Winners of the GLOTEL awards will be announced at a gala dinner on November 8, 2018 at The Montcalm Marble Arch in London, United Kingdom. Babur Nawaz Khan is a Technical Marketing Engineer at A10 Networks. He primarily focuses on A10’s Enterprise Security and DDoS Protection solutions. Prior to this, he was a member of A10’s Corporate Systems Engineering team, focusing on Application Delivery Controllers. Babur holds a master’s degree in Computer Science from the University of Maryland, Baltimore County.